Fitz Hugh Lane: When he was eighteen months old, in his father’s yard, Fitz Hugh Lane grabbed a handful of some kind of weed and put it in his mouth. John J. Babson’s History of the Town of Gloucester (1860) says it was “apple-peru.” It may have been jimsonweed. No matter. Fitzhugh “was so unfortunate as to lose the use of his lower limbs in consequence, owing to late and unskillful medical treatment.” He was paralyzed. 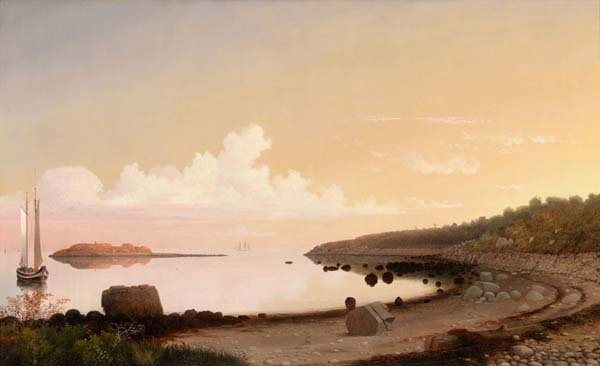 Apprenticed to a printmaker in Boston, he soon became famous for his paintings of ships and sunsets. He decided to go back home. 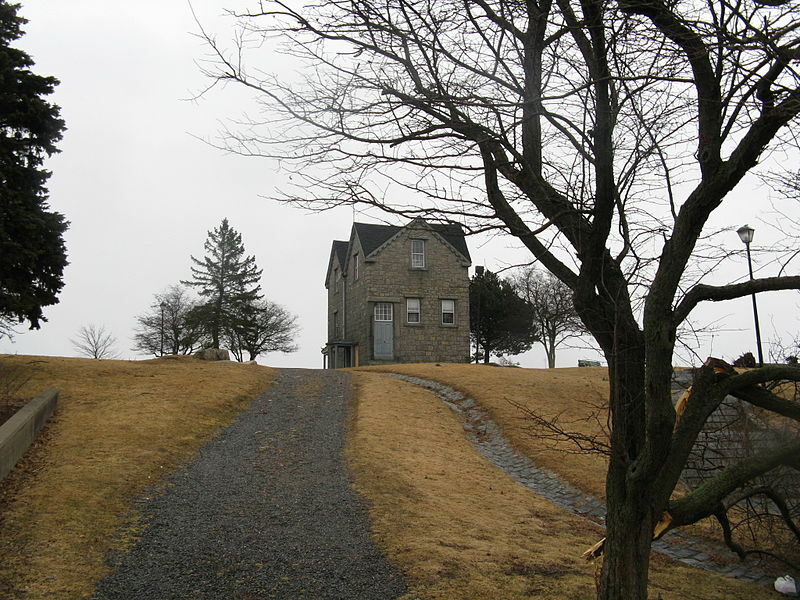 On a peninsula called Duncan’s Point in Gloucester, he designed and built his own home. He didn’t like the name Fitz Hugh and with some difficulty had it changed legally to Fitz Henry. So in catalogs or museum signs he’s sometimes called that. He was well-known and loved in Gloucester. Fitz Hugh had a very close friend, all his life, Joseph Stevens, who was from an old Gloucester family. The story’s told that one day, when they were boys, Joseph Stevens rigged up a special contraption of ropes and pulleys to lift Fitz Hugh high up in the masts and rigging of a ship, so he could look out at the harbor. * Fitz Hugh died in Joseph Stevens’ house, with Joseph Stevens at his bedside. – from Crawley’s Lives of The Heroes Of Boston (1958), which I cannot recommend highly enough. Get yourself the reissued 1998 paperback for like a dollar on Amazon. Once in winter I drove up to Gloucester to the Cape Ann Museum (got the top picture from their website) to view the Fitz Hugh Lanes. ** On the streets of Gloucester with the wind I was as cold as I can ever remember being. Fitz Hugh Lanes: good name for a Gloucester bowling alley. *Crawley notes here that he is citing John Wilmerding‘s book Fitz Hugh Lane. Crawley always acknowledges, often at tedious length, that he has done no scholarship of his own and relies on the work of others.